Happy Chinese New Year 2016 everyone! May this new year bring you prosperity, good luck and good fortune. 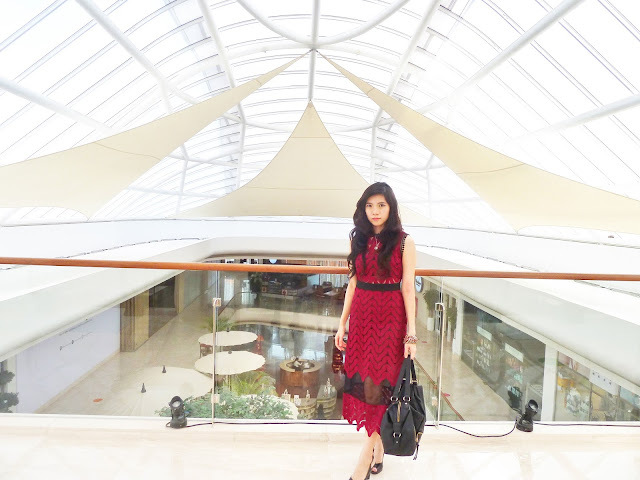 Well, this time outfit post was from Rococo event few weeks ago. I wore this beautiful red dress from Victoria Catwalk. This high neck midi dress has great material lace and textured net. Any thoughts? So great, love your blog so much,your dress is beautiful, and so are you, greetings from Serbia !